"READY, GO!" 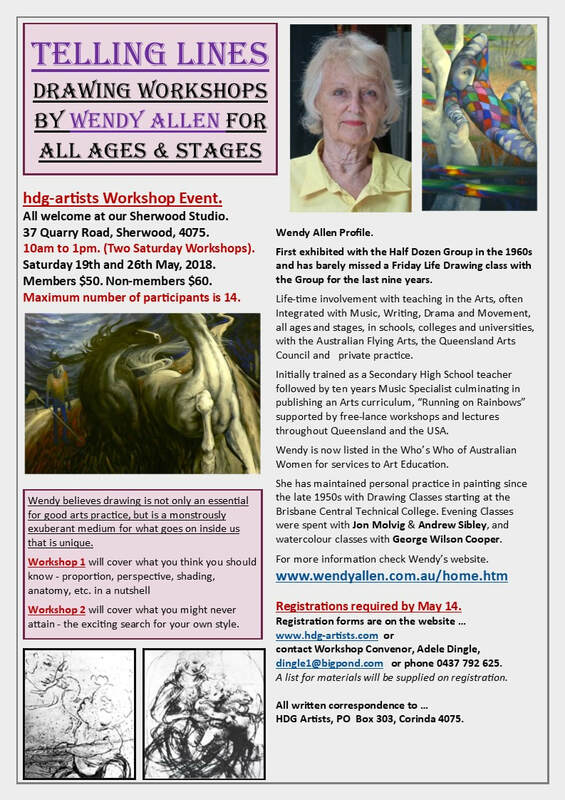 WORKSHOPS - By Wendy Allen. The only cost is for the book, "Ready, Go!" ($29.99). Although these workshops are listed under the title "tutored", it is important to note that they are not tutored. Participants are welcome to arrive and leave, on the day/s, at times that suit themselves. Wendy will be facilitating, inspiring, demonstrating possibilities if required, and providing the materials. The workshops are essentially opportunities for participants to try out the Activities in the book, at an adult level. 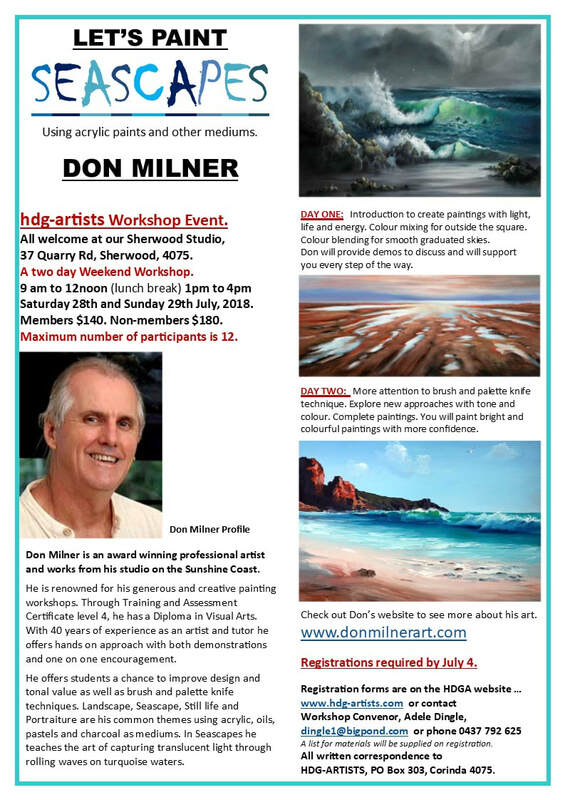 Whether you are a novice or experienced in pastel painting, you will benefit from attending these classes. The two half days promise to be informative and fun and you will take home a finished art work at the end of the classes. There is a maximum of 12 places available so get your registration in as soon as possible. The Half Dozen Group of Artists studio is equipped with professional studio lighting and air conditioning/heating. Food heating, refrigeration and tea and coffee making facilities are also on hand. You just need to bring your lunch - tea, coffee, etc are provided. Free standing easels, seating and tables are also provided. If you prefer to use a table easel, you would need to bring your own. 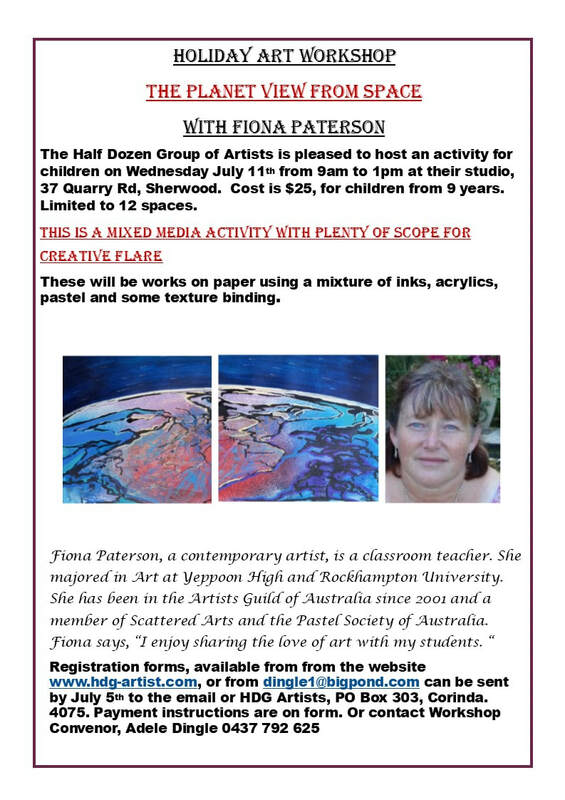 Among many other achievements, Penelope is a Master Pastellist with the Pastel Society of Australia, and has been creating award winning art for over 40 years. She has also been teaching nationally and internationally for many years. Her commissioned paintings are represented in corporate and private collections worldwide. For Penelope, the effect that light and shadow play on her subjects are, in a sense, as equally important as creating the shapes, tone and composition of a painting. She aims to capture the essence of the subject rather than a photographic likeness, but also aims to capture a recognisable likeness. 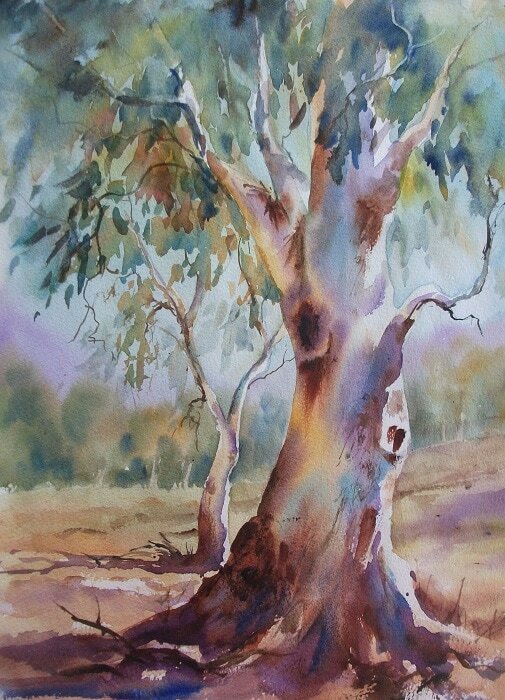 Your Tutor is MARIA FIELD - Brisbane based, popular and internationally recognised, Watercolour artist an tutor. See later on this page for information about Maria. ​This 2 day workshop will be designed to introduce students to the fundamentals of watercolour, or for those who already have some knowledge, to improve on their current skills. Students will be producing small paintings straight away as we cover basic washes, brushstrokes, materials, colour mixing, glazing, masking, making darks and different techniques. Emphasis is placed on cause and effect of watercolour techniques so that everyone can better understand what is happening on their paper and more importantly….why! 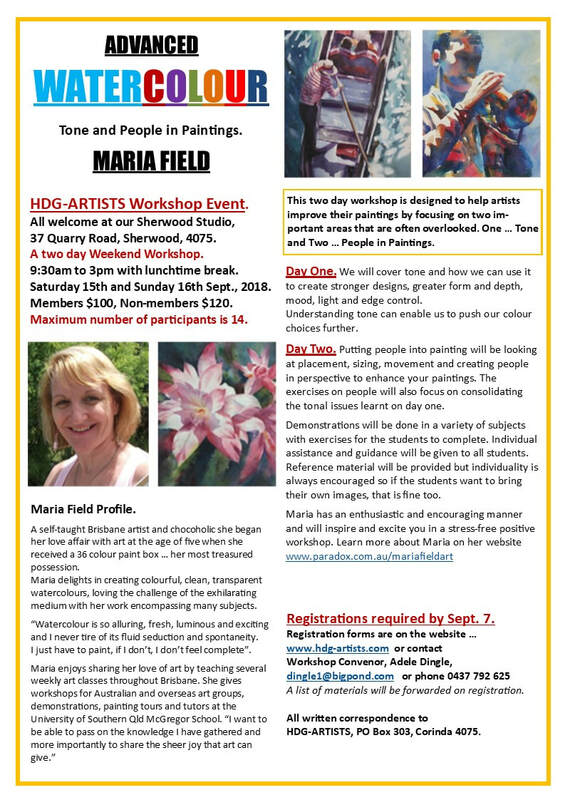 Controlling paint and edges, understanding the importance of tone, composition, design elements and principles, painting-planning and colour theory will be introduced, as needed, in a fun way. A variety of subjects will be covered including skies, seascapes, florals and more. All paintings will be demonstrated and broken down in a step by step fashion to enable the students to follow. Individual assistance and guidance will be given to all students. 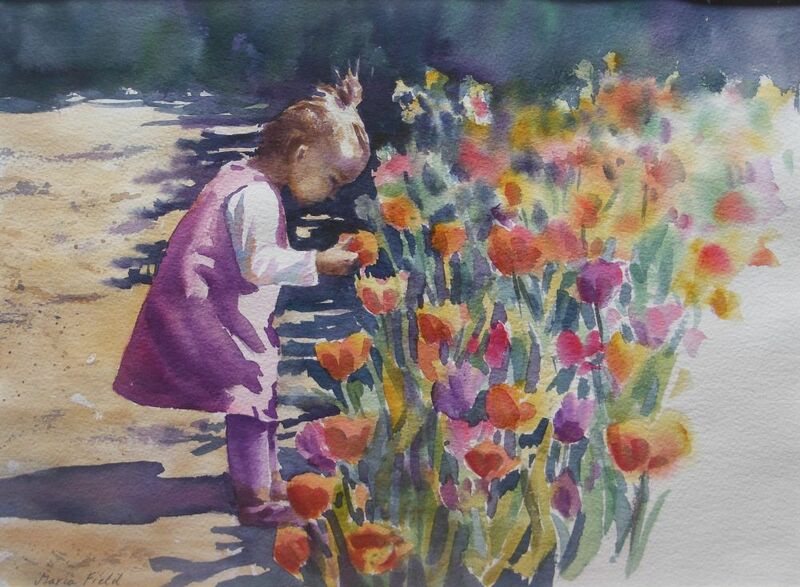 Maria’s stress-free and positive approach towards this exciting and beautiful medium will inspire you with the joys of watercolour in a non-threatening environment. 4 – 6 small paintings covering basics of watercolour painting. This is a guide only and may be altered according to students’ skill levels and interests. If a few more advanced student’s would be prefer to work on their own projects with advice / ideas that is fine. Maria was featured in the May 2010, February 2011, November 2011, June 2013, September 2013, April and May 2016 editions of Australian Artist magazine. Since commencing competing in shows in 2003, Maria has won over 64 awards, including 20 Firsts, “Champion of Show” Samford Show 2007 and “Reserve Champion” Samford 2009. She was commissioned by the Lord Mayor's Office to do a watercolour painting of Brisbane as an international gift and four of her paintings have been purchased by the Ipswich Council Art Gallery for their collection. Her works are held in private and corporate collections throughout Australia and in England, Canada, South Africa, Italy, Poland, United Arab Emirates, Germany and Japan. Learn more about Maria at www.paradox.com.au/mariafieldart. Closing date for Registration: Friday 28th July, 2017. Places are limited so please register quickly! Wendy Allen is an extensively experienced artist and art teacher. Her long list of achievements include recent works that have been embraced by the NRL Cowboys Community Foundation. In 2016 Wendy painted a portrait of Jonathan Thurston for her entry in the Archibald Prize - she donated this painting to the Thurstons and it now "lives" at the Foundation's centre in the Jonathan Thurston wing. She has since been asked to paint a portrait of Matt Bowen for the foundation. Wendy is very versatile in both subject matter and mediums and has exhibited throughout her career. Wendy's teaching career has been unique and extensive. Her self-published art curriculum, "Running on Rainbows" (1989), has been reprinted twice and is still used in schools and Universities. Wendy is listed in the Who's Who of Australian Women for her services to art education. 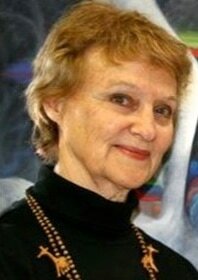 Some of her notable achievements in this area are: painting tutor for Qld Arts Council and the Australian Flying Art School, delivering solo seminars at USA Universities, colleges and schools in 1995 and representing Australia at world art education events including as a member of INSEA (International Society of Education) and AIAE (Australian Institute of Art Education). Wendy has a reputation of being a fun and interesting art teacher. 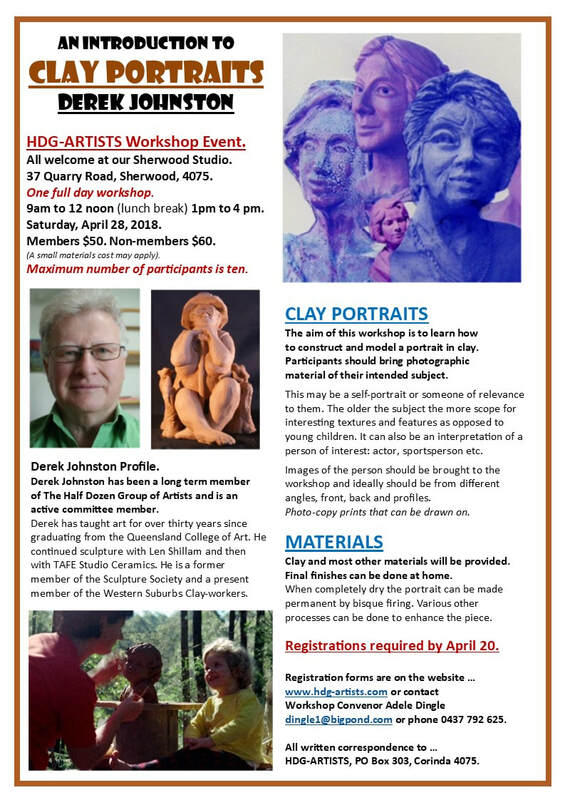 You're sure to enjoy "Starting Out to Be an Artist"!! Commencing Wednesday 7th June: the first class is essential to attend and is entitled "The Big Bold, Beautiful Basics". Whether you are a beginner or experienced, it is always interesting and beneficial to review the basic principles of drawing and painting. Wednesday 21st June: "What do I do Now?" - Directions to carrying on into the future - let's go! What you will receive: Tuition by accomplished Artist and Art Teacher, Wendy Allen. 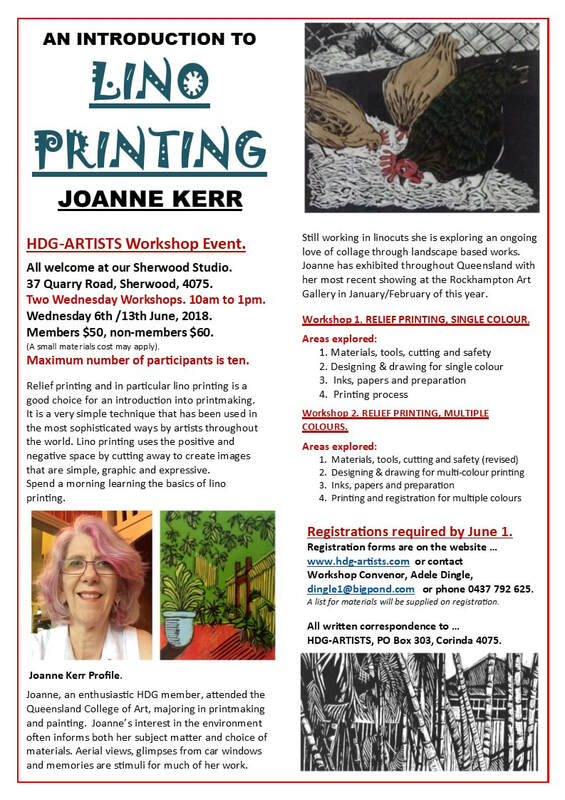 (See information about Wendy, below) Hands on learning with art works to take home Materials supplied for workshop one - you only need to bring a notebook and pen and also a digital camera or phone if you have one (not essential tho). 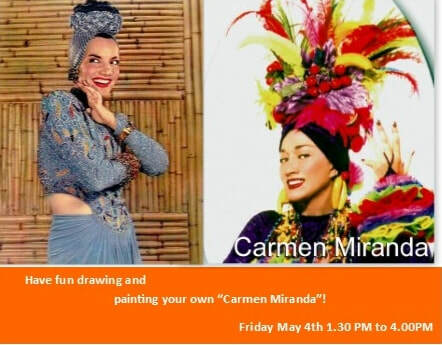 Other materials needed: For the 2nd and 3rd workshops - participants to bring their own paints, brushes and paper plus other personal choices as will be discussed in the first class. 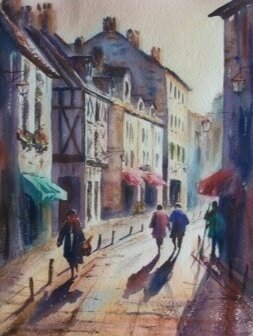 Mediums being used in these two workshops are pastels, acrylics, watercolours or gouache - any medium using water and that dries quickly. Sorry, no oils. Times for classes: 10 am to 2 pm each day Lunch break between 12 noon and 12.30 pm. Bring your lunch. Tea, coffee, cups & plates etc plus food heating facilities are provided. 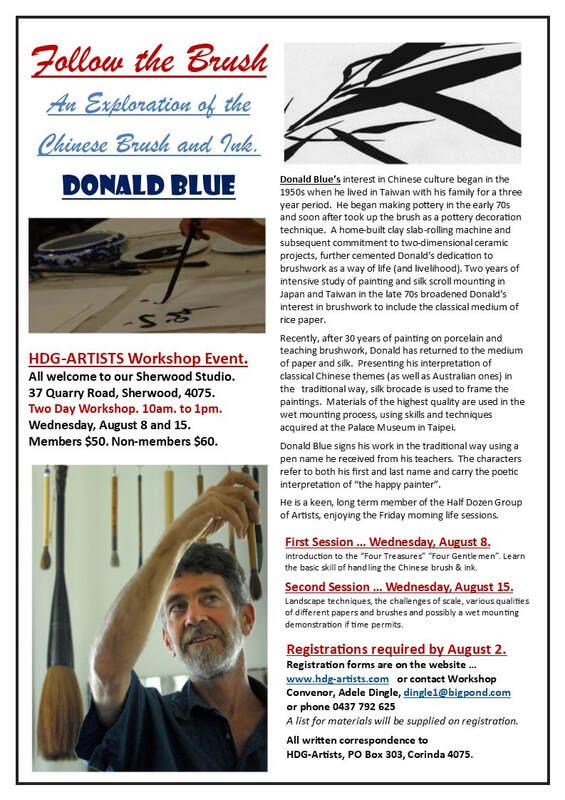 Venue: All classes are held at the HDGA studio, 37 Quarry Rd, Sherwood, Qld The studio is air-conditioned / heated and has studio lighting. Easels, tables, seating are all provided. How to register for class/es: Please click on the link below for the registration form and follow the directions for submission of the form and payment.